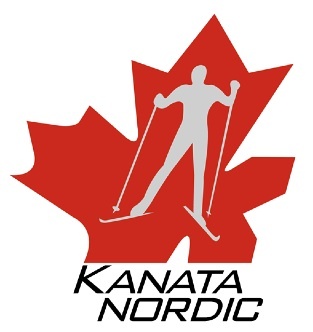 Read about skiers ski experiences on XC Ottawa to learn more about the current conditions. NOTE: During the Magic of Lights event the gate at 411 Corkstown will close to skiers and snowshoers at 3:30pm. Any cars still in the parking lot at 3:30pm will be locked in for the night. DO NOT SKI ON OR NEAR THE LIGHT DISPLAYS OR THEIR ELECTRICAL CORDS. 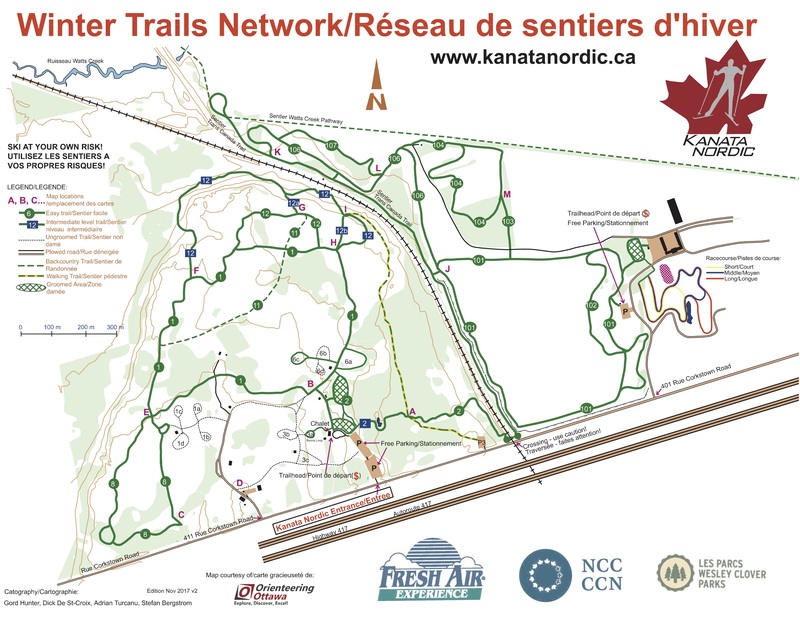 We ask that you please respect the trails which means no fat-biking, bicycling, or walking, and no snowshoeing on groomed ski trails. Dogs are not permitted on any trails. Also, please respect other Wesley Clover Parks partners doing outdoor activities in the area so we can all enjoy Ottawa winters. We share the Parks with the Forest and Nature School, which operates year-round and is located north of the campground area. Classes are run largely outdoors, so please help the school maintain its privacy and security by staying clear of their access road, structures (including their porta-potty), and activities. Click here to read full trail etiquette information. 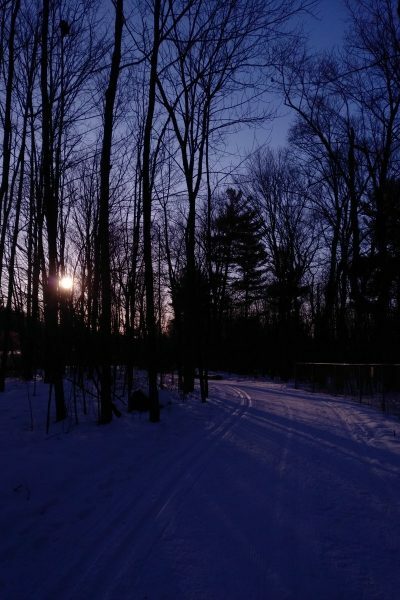 Come ski on our growing network of groomed trails for classic and skate-skiing at Wesley Clover Parks (WCParks), where we are now the resident ski club. A day pass for skiing $10.00 and $5.00 for snowshoeing payable at the trailhead or online; members have a season trail pass as part of their membership. Trails are groomed 3 times per week by volunteer groomers. Some but not all grooming sessions will have an associated update posted. Trail conditions will vary depending on snowfall and snow conditions. Please note that trails are not patrolled.